New York gold futures climbed slightly on Tuesday, hitting a 4-week high despite a stronger U.S. dollar and overnight profit-taking. Silver and platinum, however, retreated. In other markets, crude oil advanced to a 17-month high while U.S. stocks ended mixed, with the S&P and Nasdaq rising modestly but enough to hit fresh 18-month highs. 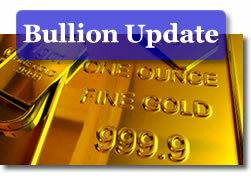 Gold for June delivery advanced $2.20, or 0.2 percent, to $1,136.00 an ounce. It ranged from $1,123.50 to $1,139.60 — the highest price since March 5. Silver for May delivery fell 18.7 cents, or 1.0 percent, to $17.931 an ounce. It ranged from $17.845 to $18.105. July platinum declined $5.30, or 0.3 percent, to $1,704.50 an ounce. It ranged from $1,681.50 to $1,713.20. In PM London bullion, the benchmark gold price was fixed earlier in the North American day to $1,132.75 an ounce, which was $9.25 more than the price on Monday. Silver was 23 cents higher at $17.920 an ounce. Platinum was settled at an even $1,700.00 an ounce, gaining $40.00. "We’re still seeing physical demand…particularly out of Asia. The minute (gold) drops to around $1,120 we see some buying coming in," Walter de Wet, an analyst with Commerzbank in Frankfurt, said on MarketWatch. "Our strongest conviction is for a rebound of auto-related platinum-group metals demand as worldwide vehicle production rises, forcing a restocking of the metals inventories run down in 2009," London-based UBS AG analyst Edel Tully said in a note that was cited on Bloomberg. Platinum and palladium will outperform gold, she said. Oil prices rose "after seesawing most of the day as optimism about energy demand trumped bearish factors such as a rising dollar and shaky stock market," reported Polya Lesova and Claudia Assis of MarketWatch. "Oil has moved higher in anticipation that demand is coming back," David Greely, senior energy economist at Goldman Sachs Group Inc. in New York, said on Bloomberg. "Positive economic news has helped push prices into the $85-to-$95 range." New York crude oil for May delivery rose 22 cents, or 0.3 percent, to $86.84 a barrel — the highest level since Oct. 8, 2008. The national average for regular unleaded gasoline rose two-tenths of a cent to $2.830 a gallon, according to AAA fuel data. The current average is 3.5 cents higher than last week, 8.3 cents more than a month back, and 79.1 cents higher than the average from a year ago. "The Federal Reserve is going to continue to allow money to slosh into the markets for a much longer period than they normally would because this was a much deeper recession than usual," William Smead, chief executive officer of Smead Capital Management, which oversees $175 million in Seattle, and portfolio manager of the Smead Value Fund, said on Bloomberg. "Any signs that indicate that that elongated period is going to go on is bullish for stocks." The Dow Jones industrial average retreated 3.56 points, or 0.03 percent, to 10,969.99. The S&P advanced 2.00 points, or 0.17 percent, to 1,189.44 — the highest level since Sept. 26, 2008. The Nasdaq Composite Index climbed 7.28 points, or 0.30 percent, to 2,436.81 — the best point since Aug. 15, 2008. Meanwhile, Sydney-based Resource Capital Research (RCR) is "moderately bearish" on the medium-term outlook for gold, saying it expects bullion to trade in the $1 050/oz to the $1 100/oz band for the rest of 2010. RCR also said that after the "speculative surge" the market experienced November and December of last year, gold is now back to the dollar-inverse game — only this time, in the opposite direction. "We are moderately bearish on the outlook for gold in the medium-term because we consider that the current uptrend for the US dollar could continue, particularly when taking into account the status of most of the currencies the greenback is measured against," said RCR. "We consider that gold’s supply-demand fundamentals also tip the balance towards further gold price weakening," the firm’s spokesman added. No such worries however on a global level, as the clear and present danger remains that of falling into Japanese-style deflation — if one takes their eyes off the economic radar. Core OECD consumer prices rose by a record low 1.5% in February. The weathervane continues to point to dis-inflation in the 30 countries that are part of the OECD, and growth rates for the group are projected at but 1.9% for the current year. This leaves the output of the group about 4% under capacity. Slacks are in fashion, worldwide, while alarmists continue to frighten us with the imminent resurrection of the Weimar Republic’s inflation levels. Ms. Cambone reports that "demand for rhodium, a key element in catalytic converters, is expected to increase as automobile markets in China and emerging countries continue their rapid growth." Indeed, as this writer will report at the Rare Metals Conference in Los Angeles later this week, robust car sales in several thriving regional pockets and the expected resurgence of North American and Western European automotive sales is likely to be…driving rhodium forward, and could…steer it back towards a significantly higher annual average price level. Mr. Christian observed that "In the United States auto sales will probably be 10 to 15 per cent higher than they were last year. When you sell a car pretty much anywhere in the world you need a catalyst on in, so that means more platinum, palladium and rhodium." Medium-term projections made by the CPM Group have called for a return towards an annual average of $4000+ for rhodium. Unlike other metals that are employed in auto catalyst applications, rhodium cannot be substituted with less costly alternatives. Thus, automakers have little choice but to purchase the metal when inventory levels dictate so.